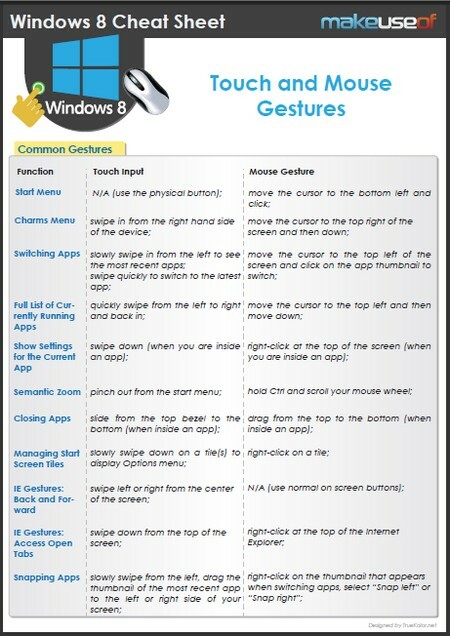 Windows 8 Touch & Mouse Gestures: this cheat sheet covers gestures and commands for Windows 8. It is useful for Windows 8 tablet users. Windows 8 for Dummies: gets you familiar with the basics of Windows 8 and how it defers from previous editions of this OS. 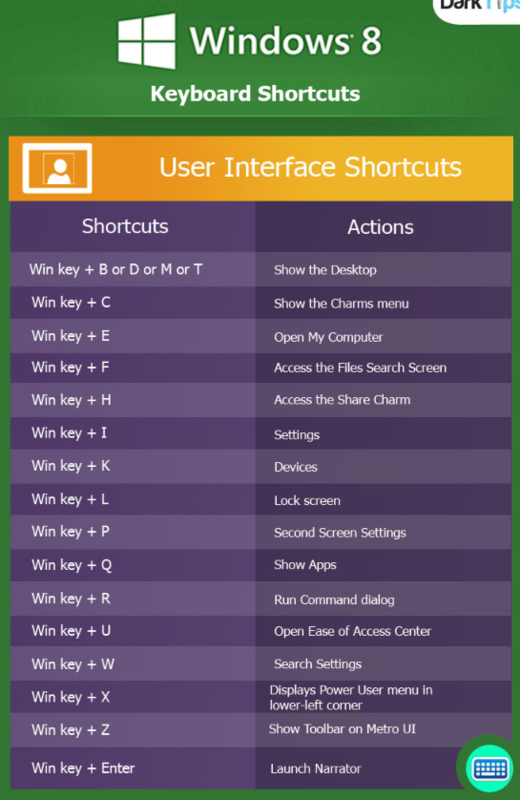 Windows 8 Shortcuts: this cheat sheet by DarkTips shows you how to take advantage of Windows 8 shortcuts to become more productive. 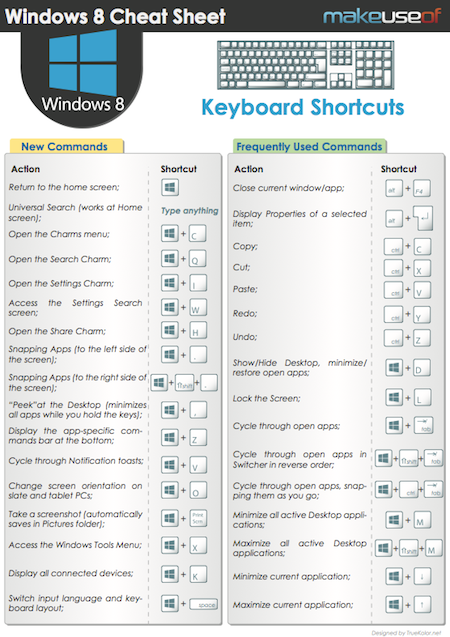 Windows 8 Keyboard Shortcuts: if you need a cheat sheet to use at your desk as a reference for Windows 8, this one by MakeUseOf is worth printing. 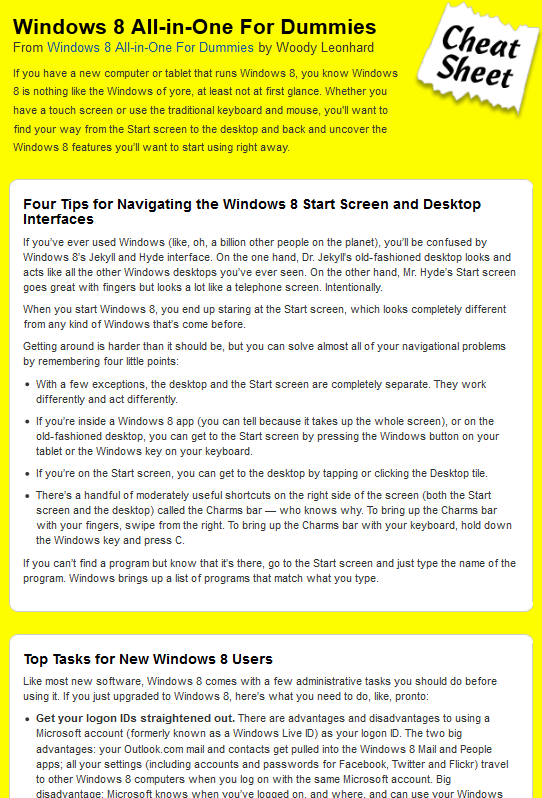 Windows 8 All-in-One For Dummies: a short cheat sheet that covers how you can customize Windows 8 to your liking and some of the things you can do to get the most out of desktop and start screen interfaces. Windows 8 may not be your favorite OS but it is here to stay. 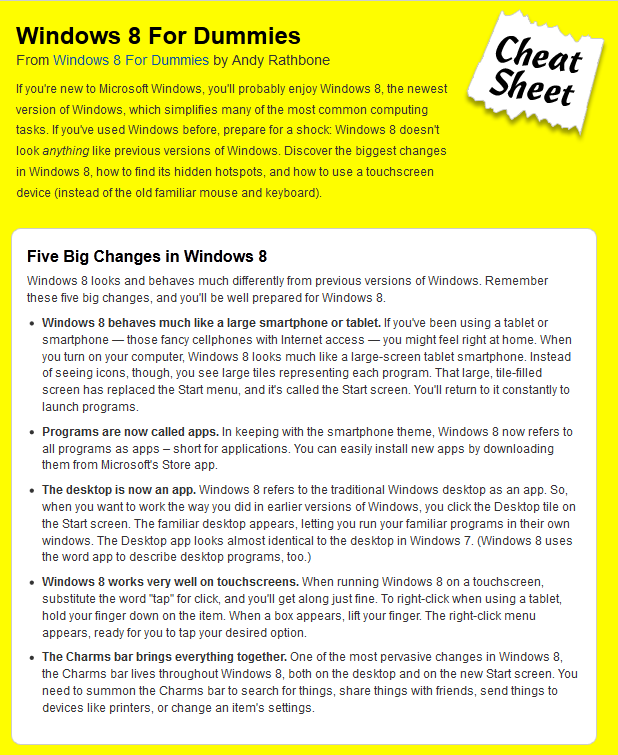 The above cheat sheets help you become a more productive Windows 8 user.